Kim also helps readers learn how to be a kind and compassionate friend to themselves as they walk this difficult path. She also helps them find joy and see God’s grace in the midst of this very difficult journey, while helping them live the life they have now to the fullest. Give Your Kids a Break: Parenting with Compassion for You and Your Children helps parents relate to themselves with kindness as they struggle with the demands of parenting. It also helps them teach their children how to be compassionate with themselves as they grow up. It makes such a difference to go through life with a kind friend on the inside rather than a critic who tells us how we’re messing up. Our culture can be quite hard on us as parents, passing judgment on how we raise our children. We live in a social media society where most things are edited, photo-shopped, and presented as perfect. Parents can be hard on themselves too. They don’t mean to; they simply don’t know another way to respond to the struggles and stresses of being a parent. Parents need compassion, not only for themselves and the impossible job of being a parent, but for their children too. When we don’t know how to be compassionate with ourselves, we may default to blaming, shaming, and bashing ourselves. Parents cannot teach their children what they don’t know themselves. Give Your Kids a Break shows parents how to be compassionate with themselves as well as teach their children to treat themselves with kindness. Children need us to help them live in a judgmental world that doesn’t offer grace and understanding for mistakes. As we respond to their imperfections with kindness, they will learn to respond to themselves with compassion as well. When kids practice self-compassion, they become more resilient, feel better about themselves, and have a greater ability to handle life’s problems. Do you have trouble showing yourself the same grace and understanding you offer to others? If you’re like most people, sometimes you can be your own worst enemy. Most of us are used to showing compassion to others, but often have trouble showing that same compassion to ourselves. We often say things to ourselves we would never say to a friend. This lack of compassion and negative self-talk can have a devastating effect on our lives. There is another way…The Power of Positive Self-Talk will show you how! Licensed marriage and family therapist Kim Fredrickson wants you to stop beating yourself up. Grounding her advice in Scripture, she offers practical steps, specific exercises, and compassionate words to say in order to build a loving relationship with yourself. She’ll help you change your relationships, your outlook on life, and your view of yourself in the process. Most likely you’ve never been taught to handle being an imperfect human in a healthy way. Most of us learned to handle our mistakes, sins and mess-ups by doubling down…by trying harder…by being hard on ourselves as a motivator to not mess up again! Sometimes we try to deal with our shortcomings by denying they are even there. The problem is these strategies don’t work for the long term. No one achieves long lasting growth by being hard on themselves. You might see some short-term success, but in the end our inner critic takes over…holding us to standards we would never apply to others. We do this because we simply don’t know what else to do. The Power of Positive Self-Talk shows us how to deal with our faults without beating ourselves us, and become a good friend to ourselves in the process. Kim Fredrickson is a licensed marriage and family therapist of thirty-plus years. She loves to teach others about the power of self-compassion from a faith perspective. She is the author of Pulmonary Fibrosis Journey: A Counselor and Fellow Patient Walks with You, The Power of Positive Self-Talk and Give Your Kids a Break: Parenting with Compassion for You and Your Children. She recently retired from her counseling practice when diagnosed with pulmonary fibrosis, a terminal lung disease that developed as a rare complication from the chemotherapy and radiation she received for breast cancer. Kim has been married to her husband, Dave for forty years and they have two grown children. Learn more and read her blog at www.kimfredrickson.com She also writes a weekly patient column for Pulmonary Fibrosis News, Just Breathe…Compassionate Help for the PF Journey. Thousands of patients and their loved ones read her column all over the world. Kim Fredrickson, MS, has been a licensed marriage and family therapist (MFC 22635) for over 30 years. She loves to teach others about the power of self-compassion from a faith perspective. She is the author of Pulmonary Fibrosis Journey: A Counselor and Fellow Patient Walks with You, The Power of Positive Self-Talk and Give Your Kids a Break: Parenting with Compassion for You and Your Children. Kim has taught at both the undergraduate and graduate level. She recently retired from her counseling practice when diagnosed with pulmonary fibrosis, a terminal lung disease that developed as a rare complication from the chemotherapy and radiation she received for breast cancer. After being diagnosed with a terminal illness, she decided to write Give Your Kids a Break: Parenting with Compassion for You and Your Children, as a way to have a positive influence in the lives of her adult children and their future grandchildren. Kim wanted to help them with the challenges of parenting, when the time came. She knew she wouldn’t be around to hold her grandbabies, and help her children raise them in person. Originally it was only going to be for them. As Kim wrote, she thought others might benefit as well, so decided to self-publish it. Before her illness, Kim was a popular guest speaker on the topics of self-compassion and self-care, parenting, building healthy relationships, and emotional growth. In the last 10 years, Kim has spoken in person to over 8,000 people, both locally and nationally. She also reaches others through YouTube. Kim has a bachelor’s degree in Psychology from UCLA and a master’s degree in Counseling Psychology from the University of North Texas, Denton. Kim writes two popular weekly blogs. In Self-Compassion for Real Life, Kim shares how to develop a compassionate relationship with yourself, no matter what you’re going through. She also writes a weekly patient column for pulmonaryfibrosisnews.com called Just Breathe…Compassionate Help for the PF Journey. Thousands of patients and their loved ones read her column all over the world. She and Dave, a retired pastor of 30 years and an adjunct seminary professor at (Western Seminary, Sacramento), have been married for 40 years, and have two grown children. Self-compassion is not self-pity, where we wallow in the shame of what we have done. It is not self-complacency, where we just accept where we are. Instead, it is the idea that we can be kind to ourselves when we fail and treat ourselves with the caring support we would give another who is struggling. Self-compassion factors in the truth that we make mistakes, with the grace that understands I have worth and value, warts and all. When we apply both grace and truth to ourselves, we take a look at what we did wrong without saying it’s no big deal, or saying it was a disaster. Applying self-compassion helps us handle our humanness and the situations we are in with empathy, concern, understanding and kindness. It also gives us the grace to accept, correct and let go of our mistakes. Self-compassion is a gentle way we relate to ourselves both when we’re struggling, and when things are going well. We want to treat ourselves as we would a friend who is scared, confused or learning something new. Think about that last sentence. It’s a description of how we feel as parents a lot of the time. Just when we figure out how to parent our two-year-old, he turns three. Right after we get the hang of parenting our twelve-year-old, she becomes a teenager! We are on a constant path of trial and error as we parent our children. Self-compassion helps us soothe our mistakes and regrets. It brings truth and grace to our hearts, helps us correct our mistakes, and repair hurts with our children. It also gives us the freedom to learn what we don’t know and find solutions. What Does It Mean to Parent with Compassion? Parenting with compassion is a gentle way we can relate to ourselves, especially when we’re struggling with the demands of parenting. It makes such a difference to go through life with a kind friend on the inside rather than a critic who is telling us how we’re messing up. Imagine what it would like for you to have a compassionate friend inside to encourage you as a parent? It makes a huge positive difference! We can be hard on ourselves. We don’t mean to, we simply don’t know another way to respond to our struggles and failures as a parent. We need compassion, not only for ourselves and the impossible job of being a parent, but for our children too. We have a lot in common with our children. We’ve never been a parent, and they’ve never been a child. We are all on a big learning curve. Our culture can be quite hard on us as parents, passing judgment on how we help our children sleep, eat, go to school, and partake in extracurricular activities, to name a few. We live in a social media society where most things are edited, “photo-shopped” and presented as perfect. It’s as if we think that there is a perfect formula to raise perfectly happy, perfectly achieving kids. Spoiler alert: There isn’t! Being a parent in this day and age is very challenging, no matter the age of your children. Parents can be so hard on themselves, but the reality is that this makes everything worse! We can learn to be compassionate with ourselves, as well as teach our children to treat themselves with kindness. As we parent with compassion, we tune into the unique needs and struggles of our children and teens. We try to see the world through their eyes, factoring in their age, personality, and unique life challenges. We have an amazing opportunity to build a close relationship with our children from a foundation of compassion. As we respond to their imperfections with kindness, they will learn to respond to themselves with compassionate too. By nurturing and supporting ourselves, we have more love and compassion to give to our children. By forgiving ourselves for the inevitable mistakes we make as parents, we won’t waste precious energy beating ourselves up. Treating ourselves with compassion helps us make peace with ourselves, correct our mistakes, and enjoy the precious time we have with our children. Why is Learning to be Compassionate with Ourselves So Important? Being a parent in this day and age is very challenging, no matter the age of your children. Parents can be so hard on themselves, but the reality is that this makes everything worse! Our children at every age, are experiencing different life challenges than we did. Not only is this hard and confusing for them, it requires a volume of skills, knowledge and resources that no parent possesses, including myself. When we don’t know how to be compassionate with ourselves, we may default to blaming, shaming, and bashing ourselves. As our children see us model a non-judgmental attitude toward ourselves when we make mistakes, it helps them handle their mistakes more easily. By nurturing and supporting ourselves, we have more love and compassion to give to our children. When we forgive ourselves for the inevitable mistakes we make as parents, we won’t waste precious energy beating ourselves up. Treating ourselves with compassion helps us make peace with ourselves, correct our mistakes, and enjoy the precious time we have with our children. How we handle the mistakes we make with our children is the gateway to a deeper and more meaningful relationship. This is how we equip them to live in a judgmental world that doesn’t offer grace and understanding for mistakes. As we respond to their imperfections with kindness, they will learn to respond to themselves with compassionate as well. 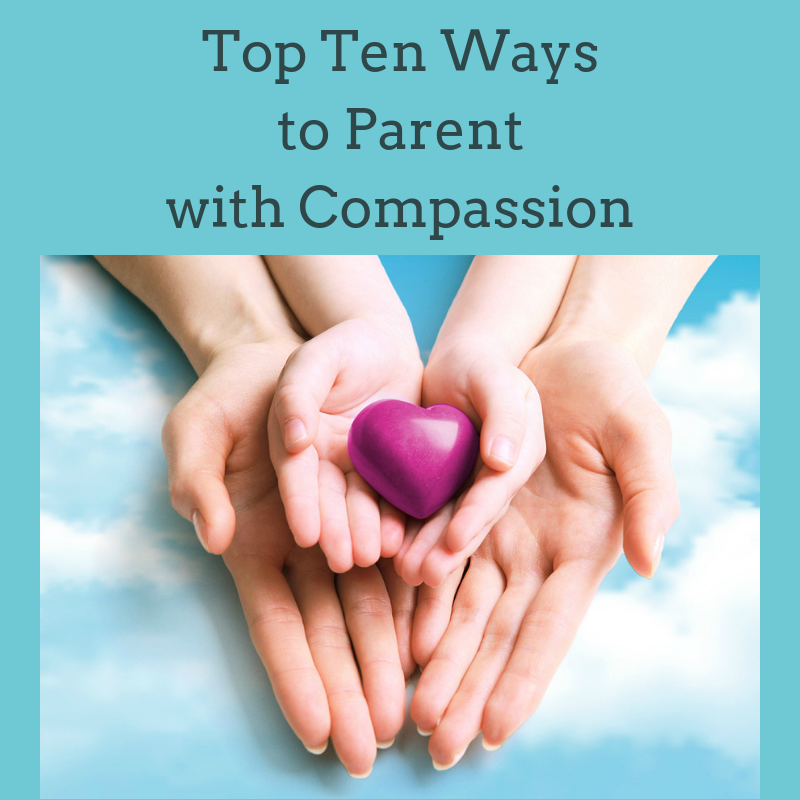 Being able to parent with compassion is linked to having compassion for ourselves. We cannot give our children what we do not have. This is why learning to be compassionate with ourselves is absolutely essential. We can tell our children to be compassionate with themselves, but it won’t have much effect, if we can’t accept our own imperfections. Don’t worry if you don’t know how to be compassionate with yourself. You can learn and grow right along with your children! Why Do Our Children Need to Know How to be Compassionate with Themselves? Our children desperately need to learn how to be compassionate with themselves. They are vulnerable to being hard on themselves because they are constantly learning new things, which involves lots of failure. Our children are growing up in a divided world. Our society is not governed by the morals, manners and decency we grew up with. Society tells us that “anything goes and all is acceptable,” and we need to adjust and accept all views, regardless of our personal beliefs and values. These negative messages and pressure come at our children from all sides — from school, friends, and social media. It is normal for them to want to be accepted and included by their friends and social groups. They need a way to be their own kind friend and advocate as they are subjected to pressure, hurtful words and opinions they don’t agree with. The reality is that our children will encounter people who disagree with them and don’t like things about them for the rest of their lives. The answer is not to make others stop saying hurtful things. We need to equip them to handle and recover from the difficulties of life. Practicing self-compassion helps our children do just this. Without it they are vulnerable to peer pressure and the opinions of others, and find it difficult to retain their own thoughts, feelings, and stand firm in their faith and convictions. Self-compassion helps them step back and be kind to themselves after going through a difficult situation. They are then able evaluate what they’ve been through and decide what they want to do about a given situation.